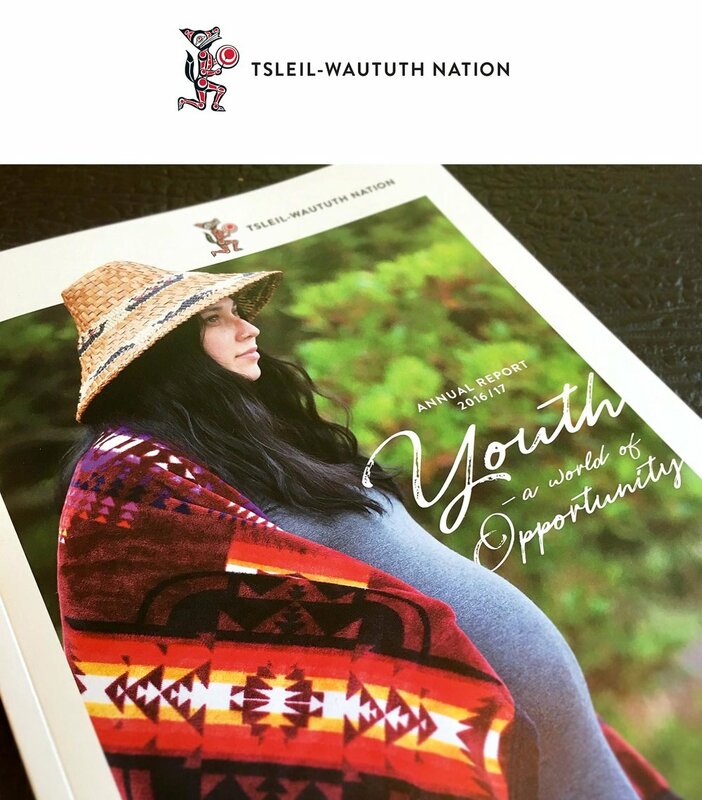 We’ve been lucky enough to work with the Tsliel-Waututh Nation (TWN) in North Vancouver since 2012 producing various types of printed reports & documents. 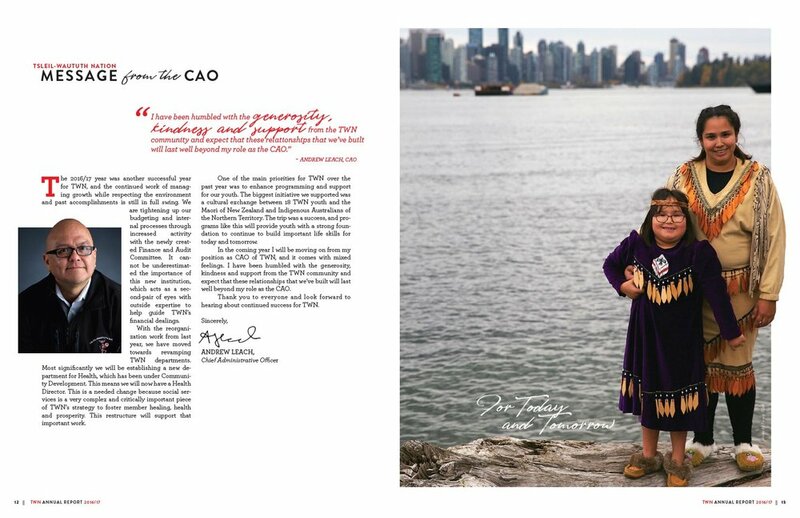 This is the 44 page perfect bound Annual Report we produced for them in 2017. Photography credit (and huge thanks) to Nancy Bleck.